What a perfect graduation gift! 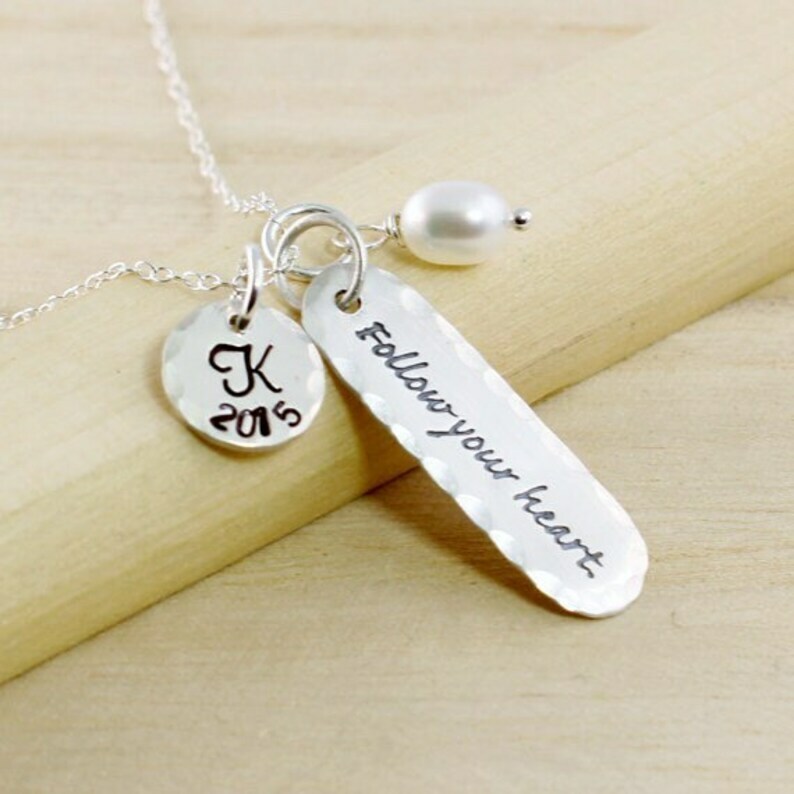 Included in this initial necklace is the graduation year and an inspirational reminder to "Follow Your Heart"! 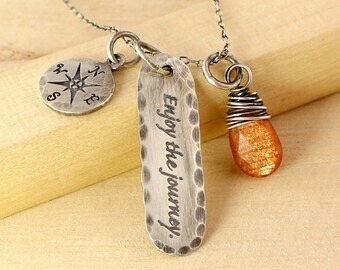 Adding a genuine gemstone personalizes it for your loved one. Perhaps they are undecided about a personal journey and this little bit of encouragement would be a symbol of your support. 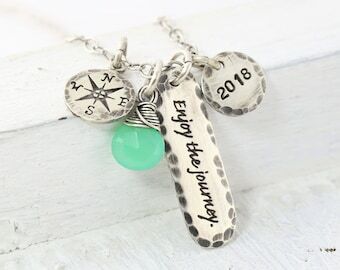 This elegant necklace has a hammered perimeter on each of the charms. If you would prefer it to be without, please note it in the "message to seller" during checkout. If nothing is noted, I will create your beautiful keepsake as pictured. Just as nice as the first one we purchased. Thank you.